We are firing up the Instant Pot again for today's recipe. 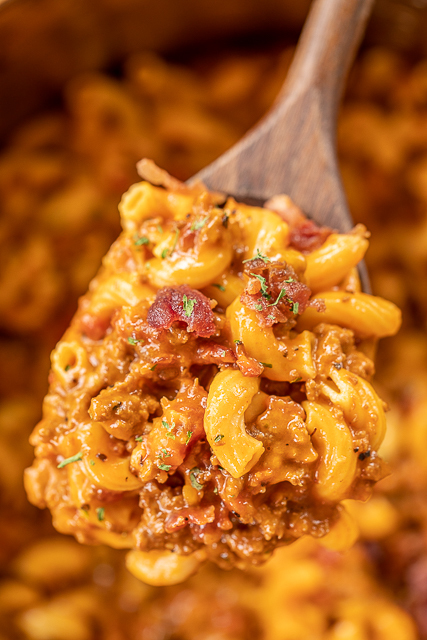 This Instant Pot Bacon Cheeseburger Pasta is a new weeknight favorite in our house. 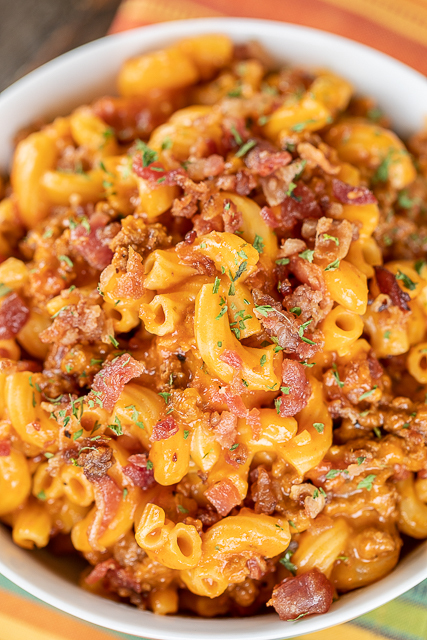 Ground beef, bacon, cheese and pasta - Yes, please! 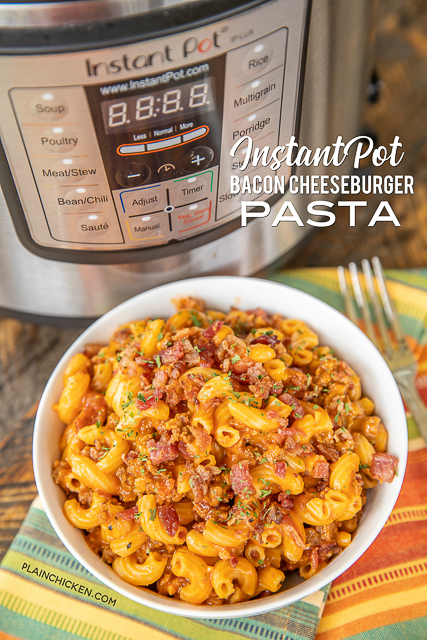 I love how quick and easy this Instant Pot Bacon Cheeseburger Pasta is to make. 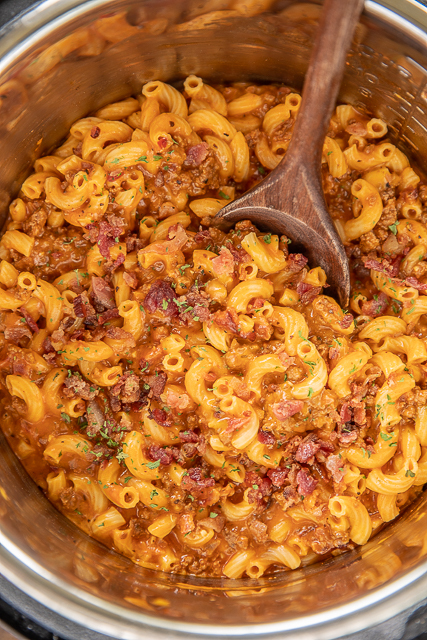 Just cook the ground beef, add the pasta and liquids, cook for 4 minutes then stir in the cheese and bacon. Super easy!!! 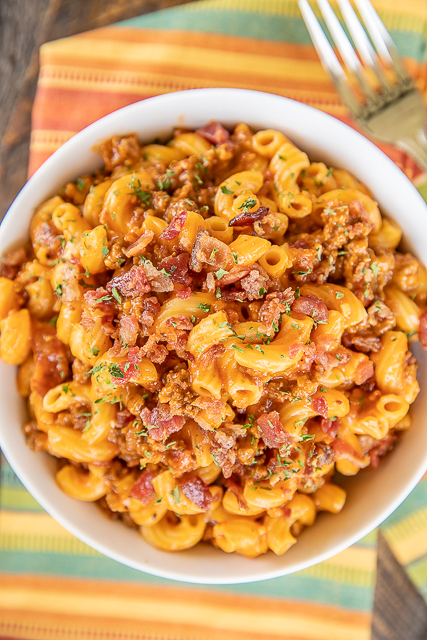 To cut down on the prep time for this Instant Pot Bacon Cheeseburger Pasta, I used precooked bacon. I buy it in bulk at Costco. It is perfect for quick and easy week night dinner prep. If you are looking to cut down on the calories on this dish, try using ground turkey and turkey bacon. If you want to add some veggies to the dish, I think onions, green peppers, mushrooms or a can of diced tomatoes would work great! 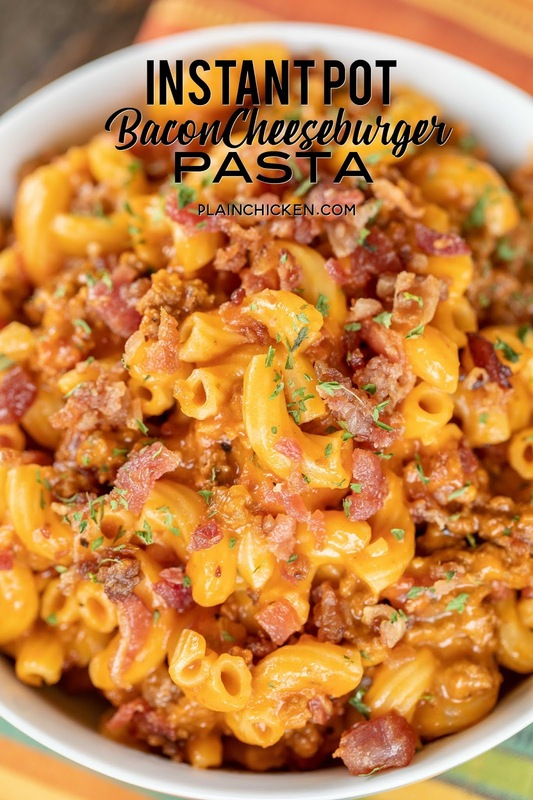 We served this Instant Pot Bacon Cheeseburger Pasta with some green beans and rolls. We both loved this easy pasta dish! I have it on the menu again for lunch this weekend. I can not wait!! Turn Instant Pot to "sauté" setting. Cook ground beef until no longer pink. Drain fat and turn off pot. Add a small amount of beef broth and scrape the bottom of the Instant Pot insert to avoid getting a BURN notice. Add tomato juice, beef broth, macaroni, steak seasoning, Worcestershire sauce, ketchup and mustard. Stir to combine. Make sure all pasta is covered with liquid. Close lid, lock pot and seal. Select "manual" or "high pressure" and set for 4 minutes. Quick release pressure and remove lid. Stir in cooked bacon and cheese. Season with salt and pepper. Yum! I appreciate the IP recipes! I need to do waaaay more with mine and appreciate the ideas. That sauce on the noodles looks amazing! I do not have a IP can this be done in crockpot? If, so please give me how to do it in crockpot! Sound great would like to try it! What a great idea! I am sure this can be made in the slow cooker, but unfortunately, without further recipe testing, I cannot answer with certainty. As always, please use your best judgment regarding substitutions and modifications.